Affiliation: 1. Department of Molecular and Cell Biology,University of California, Berkeley, Berkeley, CA, USA. 2. Department of Chemistry, University of California, Berkeley, Berkeley, CA, USA. 3. Department of Chemistry, Stanford University, Stanford, CA, USA. 4. Department of Chemical Engineering, Stanford University, Stanford, CA, USA. 5. Department of Biochemistry, Stanford University, Stanford, CA, USA. What comes to mind when you think of fluorine? The sodium fluoride in toothpaste and mouthwash is the typical, everyday example that most people think of, but fluorine plays a large role in many other compounds. Pure fluorine is a highly reactive and poisonous gas, while fluorinated compounds are incredibly stable, fairly nontoxic, and used in many real-life applications. Fluorinated compounds are more common than you would think, ranging from pharmaceuticals like the anti-cancer drug, Faslodex, to popular materials like the polymer polytetrafluoroethylene, commonly known as Teflon (think non-stick cookware and waterproof clothing). The high electronegativity of the fluorine group gives fluorinated compounds properties that are quite different from similar compounds that lack fluorine. This is why fluorine chemistry plays such an important role in fields including pharmaceuticals, materials, agriculture, and diagnostics. Figure 1: Faslodex, a common anti-cancer drug (left) and a monomer of Teflon (right). What if we could make these compounds in a renewable and safe manner using living organisms? As mentioned before, carbon-fluorine molecules are generally highly stable, which means that a lot of energy is required to form bonds with such high stability. As a result, the carbon-fluorine bond is rarely found in nature where high energy reactions can only be catalyzed by the strongest of enzymes (since we cannot significantly change temperature and pressure within living systems). First discovered in the bacterium Streptomyces cattleya, only one enzymatic pathway is known to produce a small set of fluorine molecules. Even then, the molecules produced are not known to react any further and thus the number of naturally occurring fluorine compounds is quite small. By engineering new metabolic pathways, these researchers show that living systems could offer a powerful means to expand fluorine chemistry for many different applications. Due to the highly reactive nature of fluorine, synthesizing fluorinated compounds involves harsh conditions, such as high temperature and high pressure, or dangerous reactants, such as anhydrous tetra-n-butylammonium fluoride (TBAF). In this paper, the researchers aimed to find better alternatives for incorporating fluorine into diverse molecules using the mild conditions and versatility available in living organisms. Figure 2: The compounds highlighted in grey are naturally occurring fluorine compounds, while the larger molecules boxed in red are possible biological products that could be made to contain fluorine. Potential fluorine positions are shown as red dots. 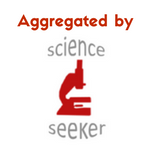 For biological research, there are two commonly used experimental methods. The first is to test the system of interest (in this case, the reaction of fluorine with organic molecules) outside of a living organism, called in vitro experimentation. For this work, the researchers showed that they could produce different carbon-fluorine compounds in test tubes using various enzymes that had been isolated from living organisms. 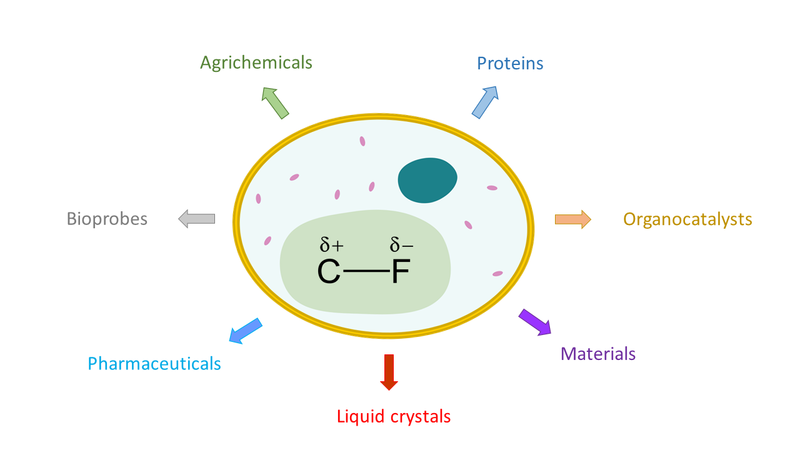 After proving that the production of fluorinated compounds was possible in vitro, the researchers proceeded to generate different compounds in vivo, meaning within a living organism, using the famous bacterium E. coli (commonly found in our lower intestines). In vitro: The researchers were able to produce fluoromalonyl-CoA from a simple starting compound, fluoroacetate. Fluoromalonyl-CoA was chosen by the researchers because it is similar to a the compound Malonyl-CoA, which is one of nature’s strongest nucleophiles. As a strong nucleophile, Malonyl-CoA is capable of initiating reactions with a variety of compounds and is an integral part of many different chemical pathways within living organisms. Think of this as a compound that wants to interact with everything. The thought was that by incorporating fluorine into Malonyl-CoA, many different carbon-fluorine compounds could be produced using well-known pathways. Figure 3: The researchers showed that they could form fluoromalonyl-CoA in vitro. This compound could be used as a precursor to form many more complex molecules in living systems. The researchers discovered that fluorine could be incorporated into the enzymatic pathway that typically leads to the production of malonyl-CoA. The production route for fluoromalonyl-CoA is shown above in Figure 3. The kinetics data shows that the system produces nearly equal amounts of malonyl-CoA and fluoromalonyl-CoA after 60 minutes, suggesting that the enzymes can effectively produce fluoromalonyl-CoA in quantities similar to malonyl-CoA. In vivo: By introducing fluoromalonyl‑CoA into living cells, researchers were able to synthesize 2‑fluoro‑2‑methyl‑tetraketide lactone (F‑TKL) in E. coli (Fig. 4). The squares next to the molecules below represent portions of the DNA that are used to produce certain enzymes within the cell. The researchers found that by adding or removing specific enzymes using genome engineering, the E. Coli could produce the compound with fluorine in different positions (removal is shown as a red x in Figure 4). The ability to change the position of the where the fluorine is incorporated allows for the production of many different molecules. Figure 4: Fluorine molecules can be produced by adding and removing certain enzymes within the cell via genome engineering. Producing unprecedented fluorine molecules in living organisms opens up a new door for fluorine synthesis and provides the possibility of forming various fluorinated compounds under mild conditions. These researchers present a large push towards complex fluorine metabolism in living organisms, although further work must be done to identify potential products and then produce industrially relevant quantities of the desired compounds. As a whole, the continuation of this work could bring advances in the many fields where fluorinated molecules are used.